1. To issue and guide legal documents on quality management of construction works. 2. To inspect and urge the state management of quality of construction works by ministries, branches and local administrations; to inspect the observance of legal provisions on quality management of construction works by organizations and individuals when necessary; to propose the handling of, and handle, violations of quality regulations under law. 3. To guide, organize or designate consultancy organizations which are capable of assessing the quality or incidents of construction works at the request of the Prime Minister, localities, ministries, ministerial-level agencies or branches. 4. To annually or irregularly review and report on the actual quality and quality management of construction works nationwide to the Prime Minister upon request. The State Department for Quality Assessment of Construction Works shall assist the Minister of Construction in performing the above responsibilities. 1. Ministries in charge of management of specialized construction works, including the Ministry of Industry and Trade, the Ministry of Agriculture and Rural Development and the Ministry of Transport, shall coordinate with the Ministry of Construction in managing the quality of specialized construction works nationwide. 2. In the capacity as investment deciders, ministries and ministerial-level agencies shall take the initiative in inspecting and coordinate with provincial-level People's Committees in inspecting the observance of legal provisions on quality management of construction works for those under their management in provinces. 3. Annually before June 15 (for biannual reports) and before December 15 (for annual reports), they shall review and send reports, made according to the form provided in Appendix 1 to this Circular (not printed herein), to the Ministry of Construction on the quality and quality management of construction works under their management. 2. To guide and inspect the state management of the quality of construction works by provincial-level Departments and district- and commune-level People's Committees. To inspect the observance of legal provisions on quality management of construction works by organizations and individuals when necessary. To handle violations of quality regulations under law. 3. To guide and organize or designate consultancy organizations which are capable of assessing the quality or incidents of construction works in their localities. 4. To review and send biannual and annual reports (before June 15 and December 15) to the Ministry of Construction on the quality and quality management of construction works in their localities, and irregular reports, made according to the form provided in Appendix 2 to this Circular (not printed herein). 5. To assign or decentralize the responsibility for state management of the quality of construction works to provincial-level Departments and district- and commune-level People's Committees under the Ministry of Construction and the Ministry of Home Affairs' Joint Circular No. 20/2008/TTLT-BXD-BNV of December 16. 2008, guiding functions, tasks, powers and organizational structure of specialized agencies of provincial- and district-level People's Committees, and tasks and powers of commune-level People's Committees in the state management of the construction sector. 1. Selection of organizations and individuals that satisfy all capability conditions specified in Chapter IV of Decree No. 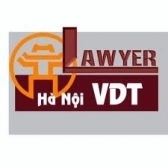 12/2009/ND-CP and relevant legal provisions to conduct construction survey, formulation of investment projects on work construction, elaboration of econo-technical reports on construction and work construction designs, construction of works, supervision of work construction, testing and assessment of the quality of construction works and other construction consultancy jobs. Investors are encouraged to select organizations and individuals that have taken part in designing, constructing and managing high-quality construction works and creating high-quality construction products. Investors may perform by themselves the above jobs if they satisfy all capability conditions specified in Decree No. 12/2009/ND-CP and relevant legal documents. f/ Examining work construction design dossiers before takeover under Article 16 of Decree No. 209/2004/ND-CP and Clause 3, Article 1 of Decree No. 49/2008/ND-CP. a/ Supervising work construction under Article 21 of Decree No. 209/2004/ND-CP. b/ Implementing regulations on certification of satisfaction of conditions for assurance of fire and explosion safety, environmental safety, operation safety, use of works under regulations of competent state agencies, force-bearing safety of work items or works upon occurrence of incidents which might cause catastrophes, and on certification of quality standard conformity of construction works upon request. c/ Testing construction works before takeover under Articles 23, 24, 25 and 26 of Decree No. 209/2004/ND-CP. 4 Request for construction work warranty and performance of responsibilities by construction contractors under Articles 29 and 30 of Decree No. 209/2004/ND-CP. 5. Archive of work completion dossiers under Clause 3, Article 18 of this Circular and deposit of design dossiers and work completion drawings into the State Archives under current regulations. 6. Before June 15 and December 15. sending of biannual and annual reports on the actual quality and quality management of construction works or irregular reports upon request, made according to the form provided in Appendix 3 to this Circular (not primed herein); and reports on construction work incidents under Point a, Clause 1 of Article 35 of Decree No. 209/2004/ND-CP, to local agencies in charge of state management of construction according to decentralization. 7. Investors may authorize project management units (in case of direct management of projects) or project management consultants (in case of hiring project management consultants) to perform one. several or all jobs specified in Clauses 1 thru 6 of this Article. In case of authorization to project management units, investors shall direct, inspect and take responsibility for performance results of project management units. Project management units shall be held responsible to investors and law for their performance of their tasks and powers authorized by investors. In case of hiring project management consultants, investors shall inspect, urge and monitor the performance of contracts by project management consultants. Project management consultants shall be held responsible to investors and law for the implementation of contractual commitments. 1. Approving designing tasks elaborated by general contractors. 2. Inspecting the capability of contractors against their bid dossiers. 3. Approving work construction schedules and time of takeover test of completed construction works. 4. Receiving work completion dossiers and organizing assessment of the quality of construction works in case of necessity for use as a basis for takeover testing of works. 5. Performing other jobs indicated in construction contracts with general contractors in case of necessity for quality inspection of works. 6. Testing upon takeover completed works under Article 26 of Decree No. 209/2004/ND-CP. 7. Requesting general contractors to manage by themselves the quality of surveys, designs and construction of works other than jobs already performed by investors as specified in Clauses 1 thru 6 of this Article. 1. Project enterprises (investors) shall perform all investors' tasks of quality management under Articles 4 and 5 of this Circular. d/ Coordinate with investors in making work handover dossiers for use as a legal basis for work handover. 3. Tasks of project enterprises and competent state agencies in quality management of construction works must be clearly indicated in project contracts concluded between competent state management agencies and investors. 1. Investors shall appoint persons whose professional expertise is relevant to types of construction survey jobs to supervise construction surveys. In case there is no person with relevant expertise, investors shall hire organizations or individuals whose professional expertise is relevant to construction works to supervise construction surveys. 2. Construction survey supervision expenses shall be included in total investment capital and work construction cost estimates. 1. Investors shall elaborate or hire consultants to elaborate work construction designing tasks, which must be in line with investment policies already approved by competent authorities. Designing tasks approved by investors serve as a basis for consultancy contractors to formulate investment projects on work construction. Before approving these tasks, investors may, when necessary, consult or invite specialized organizations or experts to examine these tasks. 2. Designing tasks must clearly indicate the following principal details: objects of work construction: bases for elaboration of designing tasks; construction site; planning, landscape and architectural requirements on the land lot for work construction; work size; utility, architectural, aesthetic and technical requirements of works. 3. At designing stages, designing tasks may be supplemented to suit practical conditions and ensure the effectiveness of investment projects on work construction. In case the supplementation of designing tasks causes a change in the basic design, thus leading to a change in the location, planning, size or objectives of the project or an excess of the approved total investment capital, the investors shall report such to the investment decider for decision. 1. Investors shall organize the evaluation and approval of technical designs and working drawing designs under Article 18 of Decree No. 12/2009/ND-CP. Drawings of the technical design which serve as a basis for organizing the stage of working drawing design shall be appended with an approval seal by the investor according to the form provided in Appendix 4 to this Circular (not printed herein). 2. Before being used for construction, each drawing sheet of the working drawing design shall be certified with the signature of and appended with an approval seal by the investor or its authorized representative according to the form provided in Appendix 5 (not printed herein). 3. Investors may hire consultants to examine several or all of contents of technical designs and working drawing designs (including the case of three-step designing) as specified in Clause 1, Article 18 of Decree No. 12/2009/ND-CP for use as a basis for evaluation and approval. Examination results shall be shown in written documents but do not substitute for investors' evaluation. 1. In the course of work construction, investors may adjust work designs upon detecting unreasonable details likely to affect the quality of works, construction progress, construction solutions and investment effectiveness of projects. 2. Designing contractors shall modify, supplement or alter unreasonable designs already made due to their fault and may reject work construction investors' requests for unreasonable design adjustments. Investors may hire other designing contractors to modify, supplement or alter designs in case initial designing contractors fail to do so. Designing contractors that modify, supplement or alter designs shall take responsibility for the quality of these design modifications, supplementations or alterations. 3. In case design adjustments cause no change in locations, construction planning, objectives, sizes of works or no excess of approved total investment capital amounts of works, investors may adjust designs by themselves. Design adjustments shall be re-evaluated and re-approved. In the course of construction, contractors making technical designs in case of three-step designing and contractors making working drawing designs in case of one-step or two-step designing shall conduct author supervision. Designing contractors shall reach agreement on cases of termination of author supervision with investors in their work construction designing contracts. Work construction designing contractors shall appoint their capable persons to conduct irregular author supervision in the course of construction or regular supervision upon specific request of investors. e/ Recording in construction logbooks or investors' supervision logbooks or expressing in writing design authors' opinions in the course Of author supervision of the implementation of designs. 1. Quality management systems of construction contractors shall be presented and explained right in their bid dossiers and notified to investors before construction commences. a/ The organizational diagram of sections and individuals of the construction contractor in charge of quality management, which is suitable to requirements, characteristics and size of each construction site; rights and obligations of these sections and individuals in quality management of construction works. - Quality control and assurance of construction supplies, materials, structures and products, work equipment and technological equipment to be used for or installed in works. - Control and assurance of construction quality and safety. - Forms of internal supervision and quality control and organization of internal takeover tests. - Plans on organization of quality tests and assessment; observation and measurement of technical parameters of works according to requirements of designs. c/ The process of compilation and management of relevant dossiers and documents in the course of construction and takeover testing: form and contents of work construction logbooks, internal reports and investor reports: issuance and processing of written notices of construction contractors" opinions, proposals and complaints to investors and related parties. Before requesting investors to conduct takeover tests, construction contractors shall themselves inspect and confirm the quality conformity of construction jobs they have performed with design requirements and technical instructions enclosed with construction contracts. Depending on characteristics and size of each construction work, internal takeover test results may be expressed in written records of takeover lest jointly made by persons directly in charge of construction and construction supervisors of construction contractors or expressed as quality conformity commitments of construction contractors in written requests foe takeover lest by investors. 1. Before being used or installed in construction works, supplies, materials, structures, work equipment and technological equipment (below collectively referred to as products) shall be inspected by investors regarding their quality conformity with standards and technical regulations applicable to these works and design requirements. Results of confirmation of quality conformity must be recorded in writing. - Investors shall inspect their origin, marks and labels, announce the quality conformity of manufacturers and quality conformity certifica­tion under the Law on Product and Goods Quality, the Commercial Law and other relevant laws. - Investors may inspect or request contractors to inspect establishments manufacturing these products; test and assess their quality when having any doubt it or required by designs or standards and technical regulations applicable to works. - If these products are manufactured by industrial production establishments, investors shall inspect their quality under Point a of this Clause and conduct regular or irregular inspection throughout the course of manufacture. - If these products are manufactured directly at construction sites, investors shall organize the quality supervision under Article 21 of Decree No. 209/2004/ND-CP. c/ For mines of construction materials exploited for the first time: Investors shall organize or request contractors to organize surveys of mine quality according to design requirements and relevant standards and technical regulations. They shall conduct regular or irregular inspection throughout the course of mining; test and assess the quality of materials according to design requirements and relevant standards and technical regulations applicable to works. 1. Work construction logbooks are used to describe the work progress and record information exchanged among investors, construction contractors, construction designing contractors and other related parties Construction contractors shall compile these logbooks, which have their pages numbered, appended with the seals of construction contractors and certified by investors. A work construction logbook may be compiled for each construction work item or work. Exchanged information shall be regularly recorded therein. a/ A list of technicians of parties directly participating in the construction: construction supervision or author supervision of the implementation of designs (post and task of each person). b/ Daily construction activities at the construction site; detailed description of incidents, breakdowns and other violations and wrongdoings in the course of construction at the construction site. c/ Related parties' proposals and opinions on ways of solving problems. 1. Construction contractors shall make completion drawings of work sections, work items and works they have constructed on the basis of approved working drawing designs for use as a basis for takeover lest. Particularly for covered or hidden parts of works, they shall conduct takeover tests and make completion drawings before performing subsequent jobs. 2. Methods of making and certifying completion drawings are guided in Appendix 6 to this Circular (not printed herein). 1. In case investors are not managers or users of works, investors may. upon request, invite work managers or users to witness takeover tests of completed construction work items or works before putting them into operation. 2. Investors shall hand over works to managers or users after completing takeover tests of completed works. The work handover shall be recorded in writing. b/ Lists of equipment, spare parts and supplies not yet installed or used. 3. In case of handover of works constructed under build-operate-transfer, build-transfer-operate or build-transfer contracts, competent state agencies and investors shall consider the satisfaction of transfer conditions specified in project contracts and Article 32 of Decree No.78/2007/ND-CP. 1. A work completion dossier comprises documents relevant to work investment and construction stages, from investment approval, construction investment project or construction econo-technical report (in case only this report is required), construction survey, work construction design to work construction and takeover test of construction jobs, work part, construction stages, work items and works. The list of documents included in and format of a work completion dossier are guided in Appendix 7 to this Circular (not printed herein). Investors shall organize the compilation of work completion dossiers. The number of work completion dossiers shall be decided by investors based on agreement with contractors and related parties. 2. Work completion dossiers shall be fully compiled before work items or works are put into exploitation or operation. A work completion dossier may be compiled only once for the whole investment project on work construction if works (work items) in the project are put into exploitation or operation at the same time. In case,, works (work items) of the project are put into exploitation or operation at different points of time, a separate work completion dossier may be compiled for each work (work item). 3. Investors shall submit for archive design dossiers and work completion drawings and keep work completion dossiers under regulations. Particularly, design dossiers, work completion drawings and documents relevant to future operation, exploitation, maintenance, upgrading, renovation and repair of works shall be archived through the whole life of works or forever under regulations. Work managers or users that are not investors shall archive these documents under regulations. 4. Contractors shall archive documents relevant to jobs they have performed for at least 10 years. A specialized construction experiment means technical manipulations taken to identify one or several particularities of construction products, construction work parts or works according to a certain process. Specialized construction experiments may be conducted on construction land, water used for construction, construction materials, lumbers, construction products, construction work structures and others. Inspection of the quality of construction works means acts of inspecting and ascertaining quality against or evaluating the quality conformity of construction products, work parts or works with design requirements and applicable standards and technical regulations. Inspection of the quality of construction works shall be conducted by observation combined with appraisal of measuring and experimental results (experiments are not required). Inspection of the quality of construction works is the inspection of the quality of construction land, water used for construction, construction materials, construction products, lumbers, construction work structure, construction works and others. Assessment of the quality of construction works means the inspection of the quality of construction works conducted by competent state management agencies or upon their request. Certification of satisfaction of force-bearing safety assurance conditions means inspection and certification of whether or not construction survey, designing and construction are conducted in compliance with the law on quality manage­ment or satisfy requirements on assurance of force-bearing safety of works or work items.